There will be a maximum of Five Teams (9 players in a team with a maximum of 5 males) in a round robin format, with a prize pool of £200 to be donated to the wining teams charity of choice. Entry fee of £25 per team, all players need to be "Robust" teenagers or older. On the day there will be BBQ and Refreshments available but we encourage you to pack a picnic, some sun screen and enjoy the day ( It will be glorious sunshine all day). Well behaved dogs on leads are always welcome. 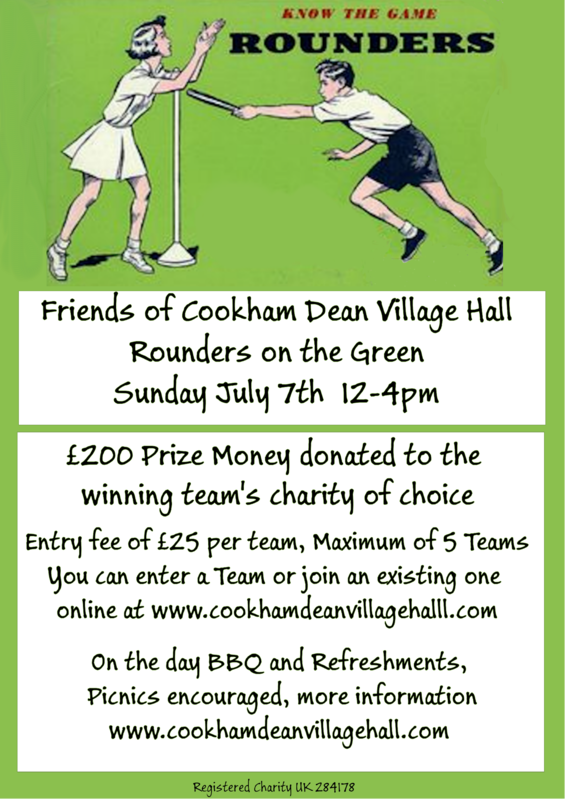 This is an new event for the Cookham Dean Village Club, which we hope you will support, in what ever way you can. We are keen to run a separate competition for younger people if you would like to help with that please get in touch.